See my recommended Macs for photographers and similar higher-end users. Contact Lloyd for consulting on choosing and configuring a system, backup and fault tolerance, etc. More about the 2019 iMac 5K. On the way for testing is the 2019 iMac 5K. Due to travel, I expect to review it starting in late April. I am keenly interested to see how much faster it is than my 2015 iMac 5K. Ordered with 8GB memory, I’ll be testing it with 64GB and 128GB of OWC memory. Please buy your Macs at B&H Photo through the links on this site or diglloyd.com—it is B&H Photo that makes these reviews possible! Because the Adobe Camera Raw Enhance Details feature uses the GPU intensively, I’ve selected the top-end configuration with the AMD Radeon Vega 48 GPU. See Adobe Camera Raw Enhance Details Feature: Integrated into my Workflow... How Much Does it Use the GPU?. Currently on the 2017 iMac 5K, it takes about 5.5 seconds per 45 megapixel raw file, and 22 seconds for a HighRes 187 megapixel file. Whether the Vega 48 GPU is worth the cost remains to be seen, but at this point, I advise it for photographers since the Enhance Details feature is the best raw conversion feature in years. Along with up to 128TB in the 2019 iMac 5K, the iMac Pro can be upgraded to 256GB (or 64GB or 128GB) via OWC’s turnkey install. MPG strongly recommends the OWC Memory + Pro Install option as installing memory in the iMac Pro is a complex process that requires a skilled technician. Newer Macs all have soldered-on SSDs, a real bummer. Thing is, many Macs are still solid machines without the port hassles of newer ones. Running out of space internally is not a good reason to abandon a solid-working Mac (and one that still allows macOS High Sierra). If storage is tight, there's no reason to ditch the Mac you know and love. The Aura Pro X2 SSD gives you up to 16x more space and the speed to keep up with your imagination today and tomorrow. Upgrade your Mac with Aura Pro X2 SSD for a fraction of the cost of a new model and keep your Mac running for years. Blazing Fast and Super Cool Aura Pro X2 combines speed, stamina, and efficiency that will change the way you experience your Mac. The Aura Pro X2 is up to twice as fast as the original SSDs, delivering performance on par with the latest models. I’ll be upgrading my 2015 MacBook Pro from its original 1TB Apple flash drive with a 2TB OWC Aura Pro X2 SSD (SSD = “flash drive” in Apple parlance), and then reviewing its performance. A big slowdown for me is trying to deal with Photoshop swapping with only 16GB memory. OWC Free Install Videos make it easy to upgrade! Tight deadlines, long nights, and terabytes of media – your Mac has been with you through it all. If storage is tight, there's no reason to ditch the Mac you know and love. The Aura® Pro X2 SSD gives you up to 16 times more space and the speed to keep up with your imagination today and tomorrow. Upgrade your Mac with Aura Pro X2 SSD for a fraction of the cost of a new model and keep your Mac running for years. Aura Pro X2 combines speed, stamina, and efficiency that will change the way you experience your Mac. With read speeds reaching 3192MB/s and write speeds of 2488MB/s, the 2TB Aura Pro X2 is up to twice as fast as the original SSDs, delivering performance on par with the latest models. It runs cooler and consumes less power than earlier SSD models, so you can run at peak for longer than ever. When it's go time, getting off the line and maintaining a high level of performance are equally important. Aura Pro X2 is engineered with advanced SLC caching, providing instant full-speed write acceleration, meaning those media projects and games stream fluidly and respond without lag time. You might even forget what that beachball looks like. Aura Pro X2 is designed for the latest macOS versions (macOS High Sierra 10.13 and later), taking full advantage of the advanced features of APFS including: strong encryption, copy-on-write metadata, space sharing, cloning for files and directories, snapshots, fast directory sizing, atomic safe-save primitives, and improved file system fundamentals. The smaller stock SSDs for Mac can fill up quickly, especially with photo and video files, games, or even your email. Aura Pro X2 SSDs are available in capacities up to 2TB, giving you more space to work and play. Newly calibrated to use less power and run cooler, Aura Pro X2 is the best way to upgrade your PCIe equipped Mac. Compatibility Aura Pro X2 PCIe-based flash storage upgrades are precisely engineered for your Mac laptop, so you'll never need to compromise your data by relying on complicated software hacks or TRIM-enablers to get the most from your upgrade. Just install, migrate your data, and enjoy the great performance of flash storage with up to 16 times the capacity of the factory-installed drive. OWC SSDs perform maintenance tasks in the background that optimize the health, performance, and endurance of your flash drive. These jobs take advantage of available, unwritten areas on the SSD. Aura Pro X2 PCIe-based flash storage reserves 7% of the overall capacity as free space. Always. With this allocated free space, Aura SSDs can perform these normal maintenance tasks making your drive more stable, dependable, and ultimately a safer place to store your data. Quality That Lasts Aura Pro X2 SSDs are proudly designed in Austin and are backed by a lifetime of free, award-winning USA-based support. Readers might remember that in my review of the 2018 Mac mini I noted some display syncing issues with NEC displays. While I’m no longer having issues and 10.14.4 seems to have helped (unclear if all issues resolved for all users), it seems that Thunderbolt 3 is flawed on the 2018 Mac mini. Issue: bus-powered Thunderbolt 3 devices connected directly to the 2018 Mac mini spontaneously disconnect. The issue is not specific to any brand but it happens, for example, with the OWC EnvoyPro EX Thunderbolt 3, which OWC lists as currently incompatible with the 2018 Mac mini. The good news is that an Apple firmware update might resolve the issue. I have some information direct from OWC on this isue, including a workround of plugging the bus-powered device into any other AC-powered Thunderbolt 3 device (such devices are rigorously certified, ironic given the mini’s failures). Examples include the OWC Thunderbolt 3 Dock or OWC Thunderbay 4 or any other AC-powered TB3 device. Issue only occurs when directly connecting bus powered Type C devices to the Type C ports on 2018 Mac mini. All thunderbolt 3 devices are required to put 15W minimum power distribution (PD) on both ports, which the Mac Mini does, but the issue seems to be that the mini does not maintain the required PD power out. Peripheral makers only get certified if fully meeting this requirement without exception. The qualification/certification is super strict in general and even tighter for bus powered. We have to submit to Apple and Intel multiple samples of EACH capacity with the drive to be built with and get individual certification on each config. Each time we even want to just do a new version FIRMWARE on an already certified SSD blade - we have to resubmit before shipping with the new firmware version. AC powered is easier as don’t need to also cert drives… but for bus powered they certify drives all the way down to the exact drives we want in our device. Workaround solution: if you have a Thunderbolt 3 Dock or other other powered Thunderbolt 3 device, run through that and no issues. And ZERO issues with ANY other Mac model or PC model with Thunderbolt 3 today. issue is limited to the 2018 Mac mini… which I still believe is a fabulous Mac unit and huge leap in the right direction. Thank you Apple! Expect this to be resolved by Apple via an OS update that includes firmware update for 2018 Mac mini. It might already be rolled into 10.14.4 update - which we (OWC) have just started testing with and will know pretty well one way or the other by middle of next week. We don’t want to say fixed unless we’ve full proven it as the failures had no problem repeating didn’t show within a consistent amount of time - sometimes fast within an hour or 30 minutes… sometimes would take day or longer. Just wanted to write that I have been experiencing the same disconnects with my 2018 MacBook Pro 15-inch and G-Drive mobile Pro SSDs. 10.14.4 (and 10.14.3 I believe). I’ve been frustrated with this for quite awhile. MPG: Interesting... mayb there is more to it than just the 2018 Mac mini. See Apple 2019 iMac 5K: Two Hits with One Big Miss and 2019 iMac 5K. Your content on the 5K iMac changes has been great. Especially the information on the Thunderbolt 3 single-bus concerns, I would never have considered it otherwise. I do not believe the TB3 bandwidth will be an issue for me. When looking at your Recommended Apple 2019 iMac 5K for high-end users config, I was surprised to see that the iMac only had a 580x. Is there a reason why you recommend the 580x over the Vega 48, especially considering your post on LR/PS not utilizing eGPU? Is it just not a good value? MPG: the GPU upgrade to the Radeon Pro Vega 48 is $450. For perspective, that’s about the cost of upgrading to the 8-core CPU (strongly recommended), or a 64GB memory upgrade or going to a 1TB SSD from the performance-killing and noise-making Fusion drive. ALL of those upgrades should come before the GPU upgrade, but if the budget is wide-open, then add the top-end GPU also. Thus my recommendation is not a recommendation against the Radeon Pro Vega 48 GPU Upgrade, but rather a statement that unless the budget is unlimited, go first for the 8-core CPU, SSD (2TB, 1TB minimum), and memory (64GB or more). 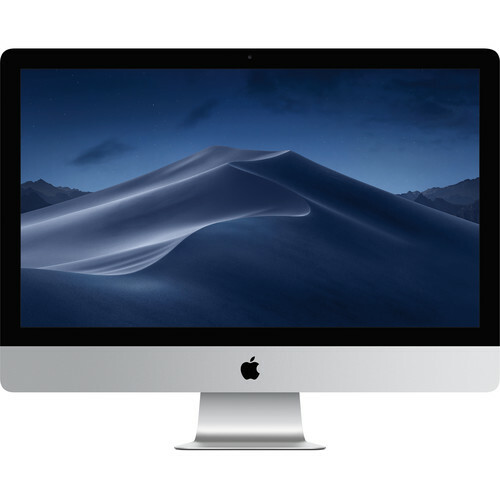 Considering a maxed-out 2019 iMac 5K, it is best to pause and take stock of whether an iMac Pro would be a better choice for your workflow. I offer consulting for such decisions. Please buy your Macs through B&H Photo via the links on this site. 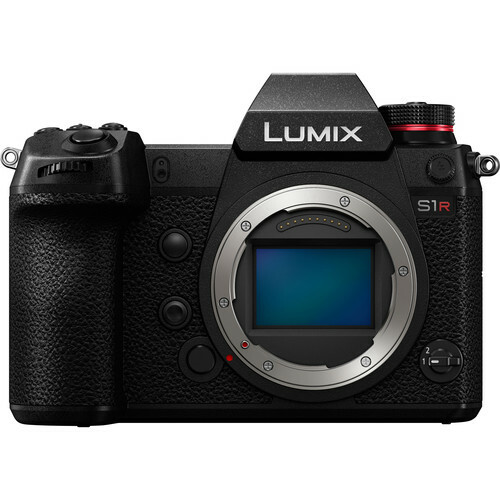 B&H Photo provides the test units to MPG. In the past, similar GPU upgrades have had no perceptible gains in performance for what I do and were generally around 20%, which could be shown on benchmarks but in the context of real work, were not meaningful. Would you, for example, pay $450 to take the time from 5 seconds to 4 seconds for an operation done 10 times a day? Claims of speed improvements should be discounted heavily unless there is continuous GPU usage. Yet much if not nearly all of what I do as a photographer in Photoshop uses the GPU in brief bursts lasting only a fraction of the time of the total operation. Even if operations like Adobe Camera Raw Enhance Details (GPU intensive) are sped up by 25%, saving even 100 seconds a day (infrequently) does not impress. I’d far, far rather have 128GB memory; my budget is not wide open.The Adobe Camera Raw Enhance Details feature is now a core part of my image processing pipeline—always a win, never a loss seen yet. See the discussion of GPU speed and the Adobe Camera Raw Enhance Details feature over at diglloyd.com in Adobe Camera Raw Enhance Details Feature: Integrated into my Workflow... How Much Does it Use the GPU?. Update: looks like my concerns were spot-on, that is, Apple released an updates to the update on March 30. For macOS High Sierra, the build number with the updated update should be macOS 10.13.6 (17G6030), as seen in About This Mac => System Report => Software. MPG recommends the following settings for updates. I’m bothered by Apple’s ambiguity in About the security content of macOS Mojave 10.14.4, Security Update 2019-002 High Sierra, Security Update 2019-002 Sierra. Specifically there are two bad things at work and one of them must be true: either macOS 10.14 Mojave introduced some serious new bugs, or those bugs are not being fixed for macOS 10.13 High Sierra. Either way is bad, but I’d at least like to know the answer. An excerpt below demonstrates why I am confused: if a bug is fixed in Mojave but not High Sierra, is it a new bug in Mojave only, or does the bug still exist in High Sierra? Apple doesn’t say. Either way looks like B-team work for Apple. Available for: macOS Mojave 10.14.3  <== new bug or not fixed in High Sierra? Available for: macOS Mojave 10.14.3 <== new bug or not fixed in High Sierra? The 2018 Mac mini has four Thunderbolt 3 ports with two busses. The 2019 iMac 5K has only a single Thunderbolt 3 bus, thus half the bandwidth—hobbled, more on that below. You know about eGPUs (and similar) things, right? It seems to me having only a single Thunderbolt 3 bus is a handicap if you plan to run external storage, e.g. SSDs with an eGPU. maybe the render is so fast it doesn’t matter or maybe it’s fine with one GPU because you need only one data channel? The eGPU route does seem a way around a non-replaceable graphics card, but I don’t know if using one is generic or can only be whatever specific model(s) the OS supports, i.e. whatever Apple deigns to allow. DIGLLOYD: the 2018 Mac mini has four Thunderbolt 3 ports on two busses, so it has double the bandwidth of the 2019 iMac 5K. It’s a serious handicap to have only one bus; see Understanding Thunderbolt 3 Bandwidth. The 'hit' is severe when an external 5K or 4K display is used because a big chunk of available bandwidth is sucked up for the display. That is why the 2019 iMac 5K is a flawed machine and should be avoided for anyone contemplating an external 5K or 4K display. An eGPU is 100% useless for Photoshop and LR unless it is driving main screen — those programs use only one GPU, the one for the main display. Think iMac 5K, iMac Pro, all laptops — for all of these, unless the built-in display is configured as the secondary display, the eGPU does nothing for Photoshop and Lightroom — they won’t use it. Actually, I’m not sure an eGPU is used by Photoshop and/or Lightroom even if the built-in display is the secondary display. Maybe readers can confirm/refute that. When testing the 2018 Mac mini, I discovered this issue. The reason I did not post any eGPU benchmarks for the 2018 Mac mini is that I had trouble getting the eGPU to drive the screen reliably. So if the screen is driven by the built-in graphics, the eGPU is 100% useless for Photoshop and Lightroom — it goes unused. Lightroom CC/Lightroom 6 currently doesn't take advantage of more than one graphics processor. Using two video adapters does not enhance performance. The unstated huge downside left unsaid in both of above quotes is that using built-in graphics for the built-in display can mean the eGPU goes unused. As the built-in display cannot be driven by an eGPU, that in turn implies that even if Photoshop/LR will use the GPU for the main screen, the user must then force the built-in display to be the secondary display (if indeed that works). OWC continues its acquisition and expansion including much improved sales nd support for European customers. WOODSTOCK, Ill., March 19, 2019 /PRNewswire/ -- OWC®, a leading zero emissions Mac and PC technology company, today announced it has acquired InXtron, a leader in the design and manufacturing of high-speed Thunderbolt and USB external storage enclosures, connectivity solutions like docks and PCI expansion boxes, and digital signage solutions. InXtron's engineering, supply chain, warehousing, marketing, sales and support staff are headquartered in Taiwan. Today's news follows OWC's January 3 announcement that it had acquired Akitio, a premium external computer storage products and accessories brand. As a result of the acquisitions, OWC is now the manufacturer with the largest selection of Thunderbolt-compatible devices in the world, along with a broad array of premium, high-speed storage solutions. "The acquisitions of Akitio and now InXtron will be strong contributors to our overall growth and capabilities as an organization," said Larry O'Connor, OWC Founder & CEO. "In addition to the expansion of our product line, access to new customer segments and much stronger brand presence in Asia, both companies have excellent support, R&D and engineering teams spread across several facilities, which is key. We already have an incredibly strong team at OWC. These moves bolster our resources and knowledge in areas like Cloud technology, new storage software development and new integrated hardware and software approaches for truly next generation workflow solutions." OWC also announced it is dramatically expanding its presence in Europe with the recent acquisition of Belgium-based distributor Trinity Distribution. The move includes a 15,000 square foot warehouse facility in Belgium and is expected to cut order fulfillment time for European customers from an average of 7 days to 2 days, while bolstering local language technical and sales support for Europe. The company is also pleased to announce a significant expansion of its Woodstock, Illinois headquarters and distribution center. Beginning in the spring of 2019, OWC expects to break ground on a planned 20,000 square foot addition currently under review. The new space will be used to expand OWC's world-class distribution center and warehouse, as well as its light manufacturing and technology refurbishment capabilities. "We are very pleased to be enhancing our physical presence on three continents simultaneously as we dramatically expand our engineering might, our distribution and supply chain capability, our product portfolio and our global brand awareness as we deliver on high-quality localized customer support in Asia and Europe," continued Larry O'Connor. "We've always prided ourselves on providing exceptional products and an exceptional customer experience. All of this expansion is meant to build on and accelerate delivering the solutions that supercharge our customers' workflows and their lives." Other World Computing (OWC), founded by Larry O'Connor when he was 14 years old in 1988, is dedicated to helping tech enthusiasts and industry professionals do more and reach higher. Our trusted storage, connectivity, software and expansion solutions enable creative professionals, producers, educators and government entities to get the most out of their technology investments, protect valuable digital assets and expand their hardware's capabilities to keep up with the demands and evolution of their work. OWC features an award-winning technical support team that is on hand 24/7 as well as an unparalleled library of step-by-step installation and support videos. In everything we do at OWC, we believe in making a better world where technology inspires imagination, and everything is possible. © 2019 Other World Computing, Inc. All rights reserved. Apple and Mac are the trademarks of Apple Inc., registered in the U.S. and other countries. Intel and Thunderbolt are trademarks of Intel Corporation registered in the U.S. and/or other countries. Other marks may be the trademark or registered trademark property of their respective owners. The 2019 iMac 5K can take up to 128GB memory. Why would you go with 32GB memory from Apple, when it costs *less* to install 64GB? MPG recommends buying the 8GB memory configuration of the 2019 iMac 5K, then upgrading the memory with 64GB of OWC memory, for a savings of about $550 (as this was written). Basically, you can get 64GB for less than 32GB from Apple. Plus you can get some money back for the existing modules it came with. It’s an easy DIY install that takes only a few minutes: open the back panel, remove the existing modules, insert the new modules, reboot—see the install video. Below, MPG recommends the 64GB of 4 X 16GB modules for the best price, until and unless you are confident of going to 128GB (not clear this is possible), in which two pairs of the 64GB as two 32GB modules (4 X 32GB) would be the ticket. Today, Apple announced two worthwhile but expensive new options for the iMac Pro. Up to 256GB memory (+$5200!) makes the iMac Pro much more “pro” and clearly differentiates it from the 2019 iMac 5K, at least for the tiny fraction of users who can use and afford it. The improved GPU option is the +$700 Radeon Pro Vega 64X with 16GB of HBM2 memory. It looks to offer incremental gains over the Vega 64 option. The iMac Pro comes at a premium, but it does have dual Thunderbolt 3 busses, a big plus. But my bet is that the 8-core iMac Pro will substantially underperform the 8-core 2019 iMac 5K. 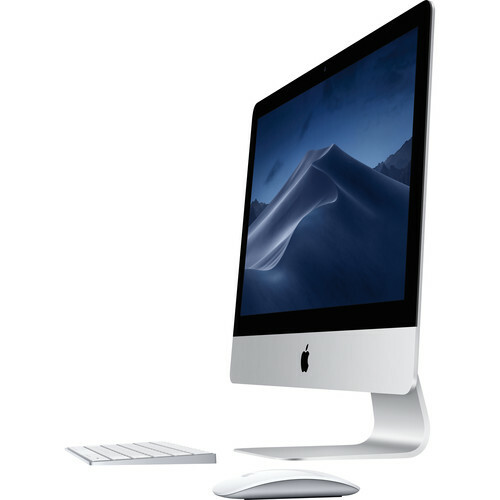 Today’s announcement of the 2019 iMac 5K is welcome indeed, but bittersweet for one key feature reason, and one personal reason. 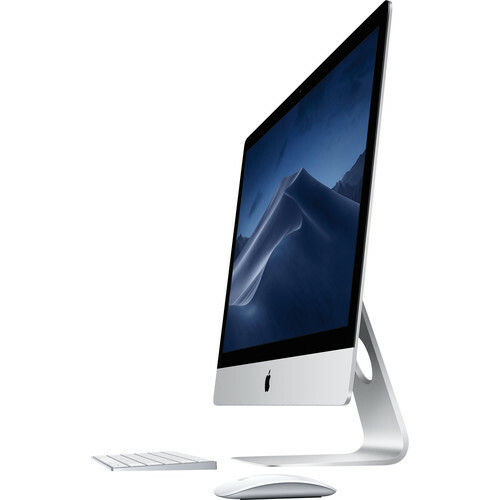 The 2019 iMac 5K is essentially a CPU and GPU upgrade which are terrific upgrades and very welcome if one is buying fresh—the CPU should be a huge upgrade for Photohop and Lightroom users and similar. Improvement: up to 128GB memory. Unchanged: user installable memory, 4 slots (not soldered on). Handicap or feature: lacks the T2 chip which avoids some problems, but also lacks hardware encrption. Handicap: lacks 10 gigabit ethernet. Handicap: single Thunderbolt 3 bus with only two ports. MPG recommends buying the 8GB memory configuration of the 2019 iMac 5K, and upgrading the memory with 64GB of OWC memory, for a savings of about $550 (as this was written). Basically, you can get 64GB for less than 32GB from Apple. From the Apple sales page: “Connectivity It’s very well-connected” = huh? The 2019 iMac 5K has the poorest set of ports of any Mac desktop. Apple does not mention that if you add an external 5K display, more than half the Thunderbolt 3 bandwidth is consumed. Here’s the rub for me and other high-end users: a key problem and headache for me with the 2017 iMac 5K has been the single Thunderbolt 3 bus with only two ports, crippling my ability to use my Thunderbolt 3 devices simultaneously and throttling peak performance, and making a 2nd 5K display highly undesirable due to it gobbling up most of the bandwidth. The 2019 iMac 5K retains a single Thunderbolt 3 bus with only two ports. If this is the means of differentiating the 2019 iMac 5K from the iMac Pro, then it’s a sad story for customers hoping for a less expensive version of the iMac Pro. The personal reason, presumably relevant only to buyers in a similar situation, is that in essence I’d have to spend $5230 to get a faster CPU and GPU—that’s it—the display is the same, the SSD would be the same, the 64GB memory would be the same. While I’d love the upgrade, I don’t have that kind of money. If cost is not a concern, the $450 upcharge for the Radeon Pro Vega 48 is worth having. However, actual performance gains in the past for such upgrades has been unpersuasive, so unless the budget is wide open, first go with the fastest CPU, minimum 2TB SSD and 64GB or 128GB memory. Also, once into a maxed-out 2019 iMac 5K, it is best to pause and take stock of whether an iMac Pro would be a better choice. I offer consulting for such decisions. The iMac Pro has two Thunderbolt 3 busses, but that costs another $1200, and my bet is that the 8-core 2019 iMac 5K will outperform the 8-core iMac Pro for most all tasks most photographers do. Thus the iMac Pro is also a flawed choice—and both come at a very high price.